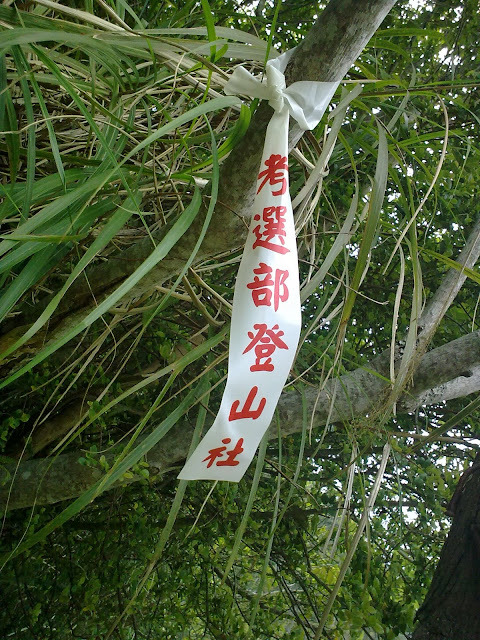 The tag reads: "Mountain Climbing Club of Ministry of Examination." 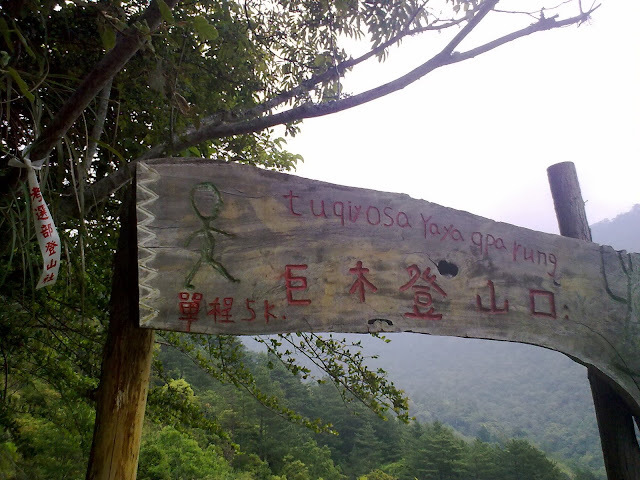 This place is the beginning of a trail with a large sign. There is no other branches nearby. I do not think the tag is meant to be marking the trail. I guess it is for publicity. I am lending a helping hand here. Zhaogenda is one of the tourists from China. 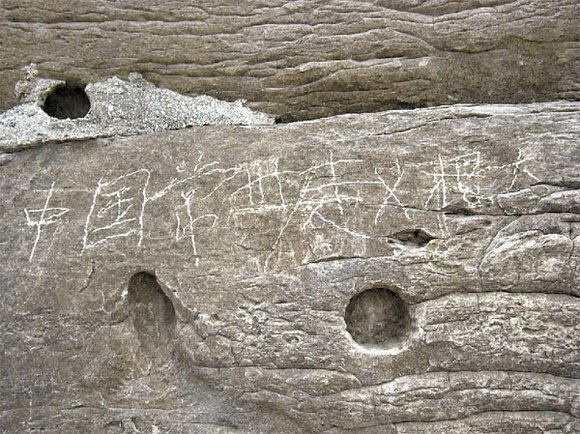 He became "famous" by leaving his name on a rock while touring Taiwan.